Blind Bay is an unincorporated settlement located on the bay of the same name, at the southwest end of Shuswap Lake in the Shuswap region of the Southern Interior of British Columbia, Canada. Community motto - Where Strangers become Friends. 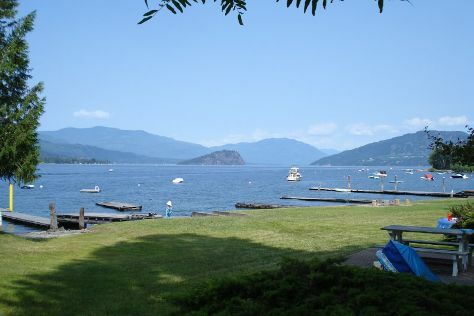 A golf course community with numerous other recreation activities including grass air strip, boating, tennis, pickleball, hiking, model airplane flying. Alpine skiing an hour away. Blind Bay is in British Columbia. When using our Canada road trip planning website , you're building your holiday based on your own interests, visitor reviews, and the informed opinions of our well-traveled writers.